Measure strength of back, leg and chest. 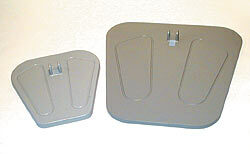 Base provides sure footing. 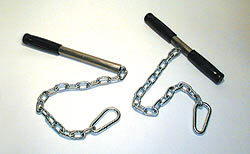 Chain length is adjusted to accommodate for height differences or to vary the point of force application. Shows pounds and kilograms. Pointer remains at maximum until reset. The accessory is first fastened to the subject near the muscle group being evaluated. The measurement device is then connected to the accessory. 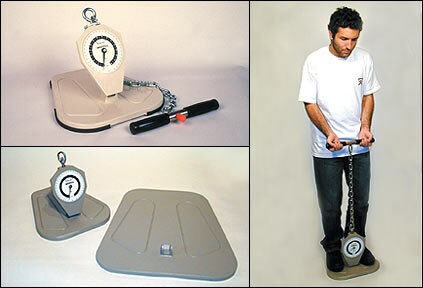 Click here for more information about these measurement accessories. 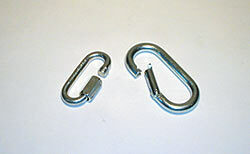 Baseline is a registered trademark of Fabrication Enterprises Incorporated.